Oh my!!! These looks absolutely scrumptious. Perfect satisfaction for a wintry Christmas treat while helping you stay on track for your after the New Year resolution health goals. 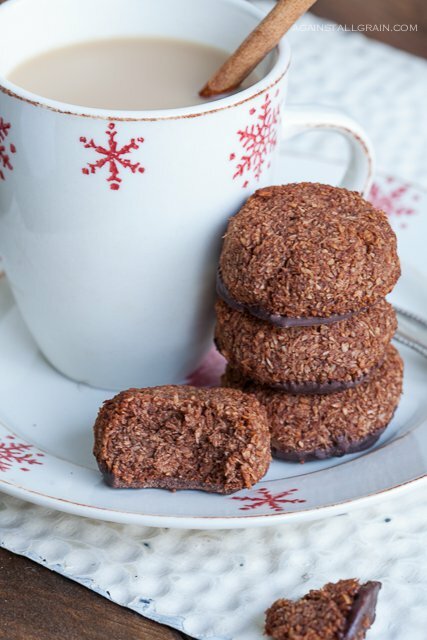 Danielle Walker at Against All Grain describe these perfectly, "With a crisp outside and a chewy inside, these macaroons have a rich chocolate taste and leave just a hint of festive peppermint lingering on the tongue." Mmmmm. Go check out the recipe, it's super simple, and enjoy these little holiday goodies without feeling guilty.